Striving to meet the changing needs of the industry, state-of-the-art unibody systems are used to repair your vehicle to meet original manufacturing standards. By using computerized estimating systems, Patton Brothers can give you a more precise estimate and reduce the time you spend waiting for it. Our long-time reputation for top-quality auto body repair has made us a 'Preferred' repair shop for many insurance companies in the northeast Georgia area. Once you've gotten your estimate, Patton Brothers will work directly with your insurance company to minimize your inconvenience. 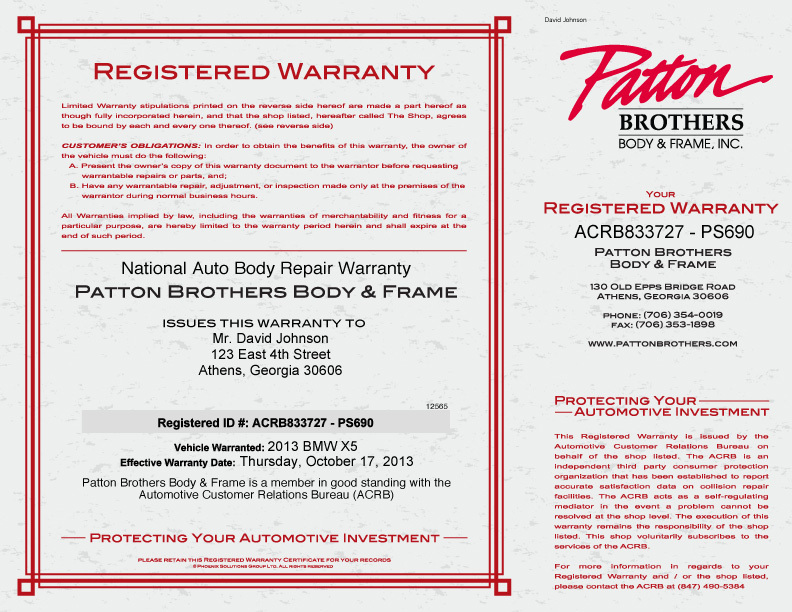 When you combine the latest industry training and the latest technology with the assurance of Patton Brothers' longevity, you can see why Patton Brothers Body and Frame is your only choice for collision repair. We take great care to ensure that every repair meets our standards for quality. The labor performed by us is guaranteed against any defect in workmanship for as long as you own your car. 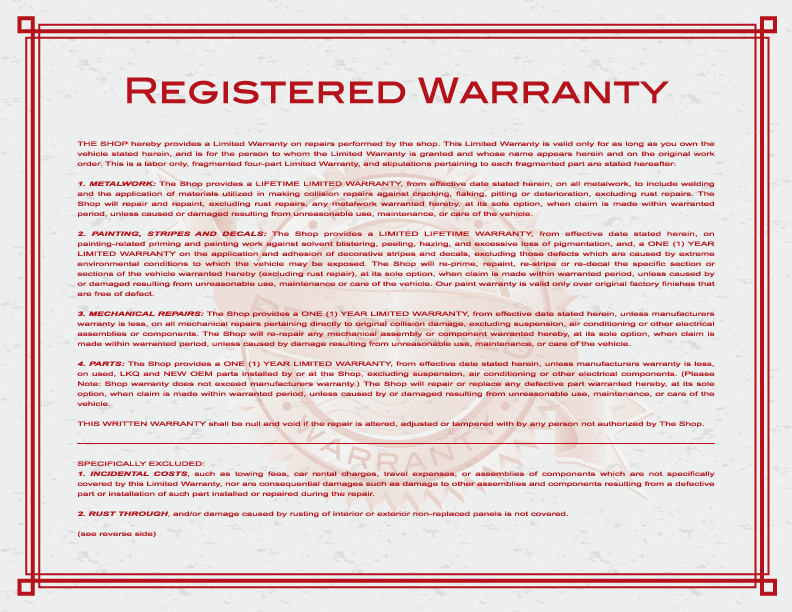 To provide you with added protection, your warranty is also registered with the Automotive Customer Relations Bureau (www.theacrb.com), an independent consumer protection organization. The Bureau functions as a consumer watchdog entity and customer experience evaluator for the collision repair industry. 130 Old Epps Bridge Rd. 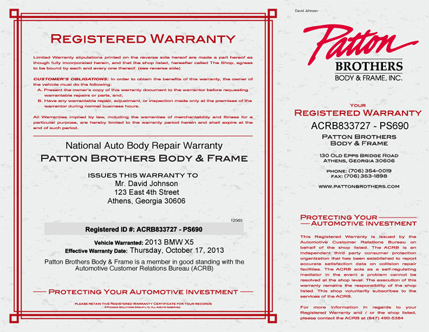 © Patton Brothers Body & Frame, Inc. ALL RIGHTS RESERVED.